Turkey and dressing wasn’t the type of thing we had every day. Nope. It was totally limited to Thanksgiving and sometimes Christmas. But typically Christmas was ham time. It just depended on how much we begged Mimmie. Could we convince her that sweet baby Jesus would have wanted turkey? Because, you know he totally would. If we couldn’t Feast Mode only happened ONE time a year. Get your free cut file. 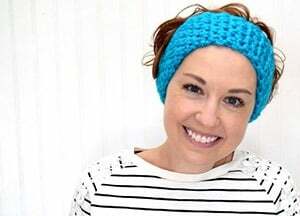 Or click the pic above! Come Thanksgiving we’d pile plates with turkey and dressing and mashed potatoes and gravy and green bean casserole and ‘orange stuff’. We’d sit our butts on down in front of the TV with our plastic TV trays in front of us and yell at the Cowboys. And when we were stuffed to the max it was time to fill up the dessert plate with Mississippi Mud Cake, lemon cream pie minus the meringue (you can keep your cow slobber, thank you very much) whatever other pies got made and more ‘orange stuff’. Mmm. And so I came up with the idea to use a common work out phrase (Beast Mode) into an awesome Feast Mode Thanksgivng tee. Huzzah! 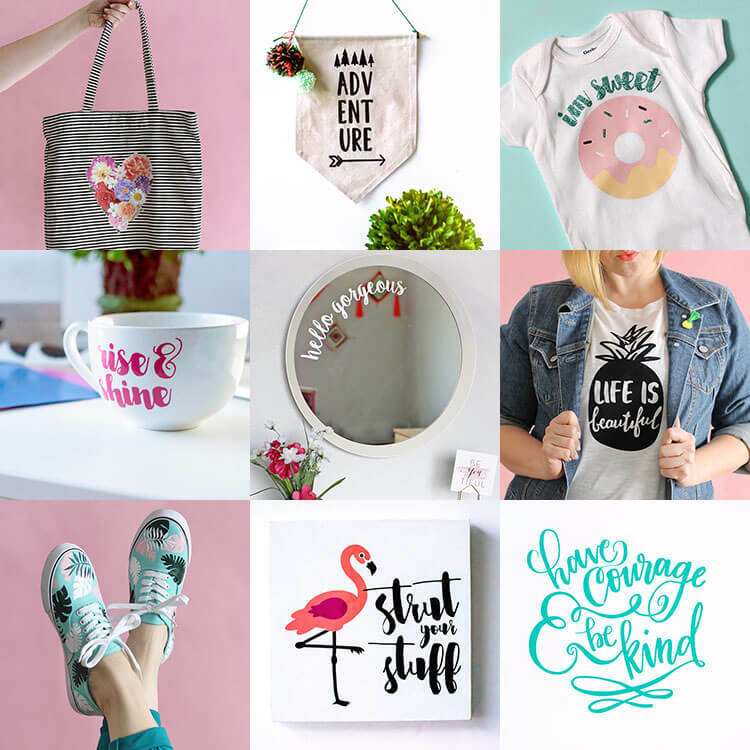 But I’m not just here for an awesome shirt freebie, today I am joining in with other talented bloggers to share over 20 amazing vinyl projects with you all to celebrate the launch of Alexis of Persia Lou‘s new Craftsy Class – Silhouette Savvy: Venture into Vinyl. It’s a brand new online video class that will teach you everything you need to get started cutting vinyl with your Silhouette. In the course, Alexis will walk you through creating eleven different vinyl projects. You will get all the cut files you need as well as video guidance for each step, and you will learn techniques such as layering adhesive vinyl, cutting large-scale decals, using the print and cut feature with printable heat transfer material, creating vinyl stencils for screen printing, and more. Get some more vinyl craft projects! Now I’m not the only one in on this gig, we’ve got a whole mess of vinyl crafts from some ah-mazing bloggers. Check ’em out! We’re also rocking a giveaway with some fab stuff! Thank you to Expressions Vinyl for providing awesome vinyl to our awesome bloggers, and thanks to Persia Lou, Silhouette, and Craftsy for sponsoring our giveaway! One of you lucky folks will win everything you need to start making your own amazing vinyl projects! The prize includes a brand new Cameo 3 (yay! 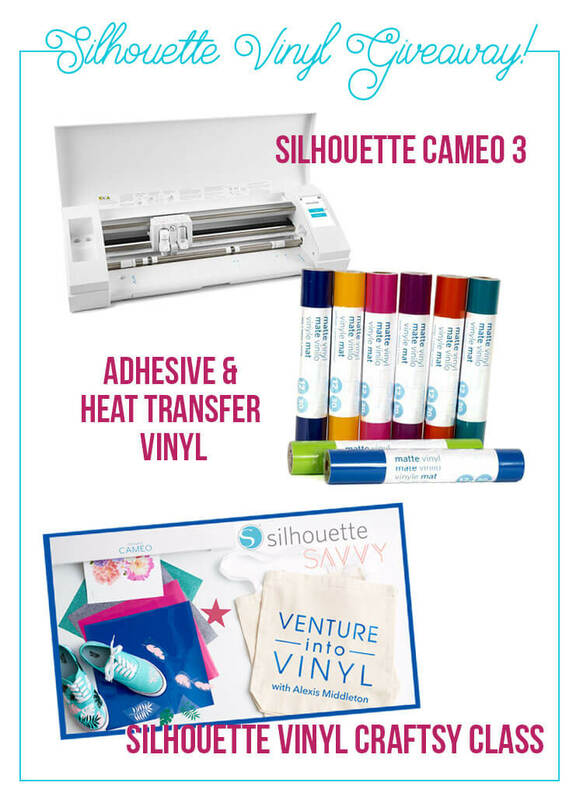 ), a collection of vinyl, and the Silhouette Saavy: Venture into Vinyl Craftsy Class. The giveaway is open to U.S. Residents only (sorry, international friends) 18 or older and will close midnight Monday 11/21 Pacific Time. Missed that Get your free cut file.? No worries. There’s a lot going on here, today!Get your free cut file. haha! I love the shirt. perfect for next week.